Simon and Garfunkel’s The Sound of Silence would be a great theme song for the lovely Home. 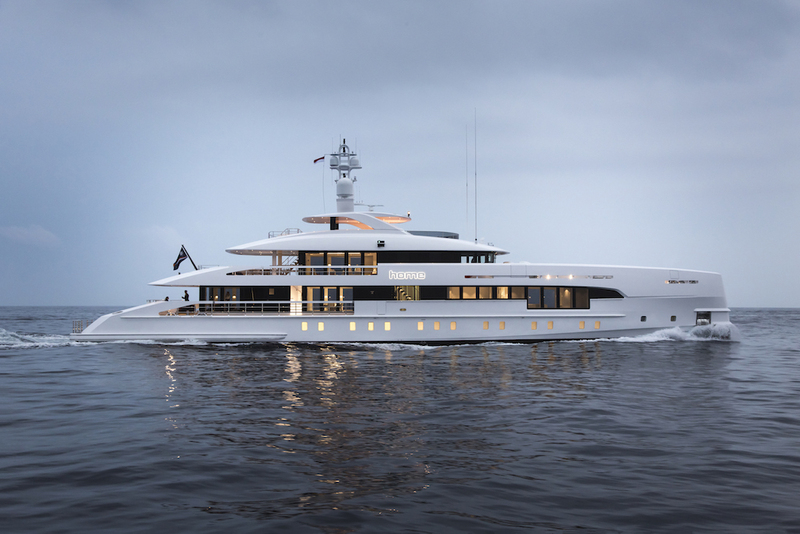 This is because she is actually none other than Heesen’s uber-celebrated Project Nova. 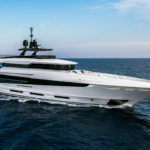 The high-tech 50m hybrid design was unveiled for the first time at the 2015 Monaco Yacht Show by an enthusiastic Mark Cavendish, sales and marketing director at the yard. 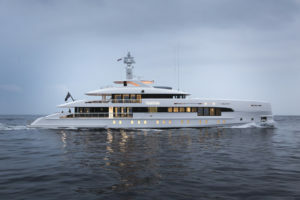 At the time, he explained how the famous, highly efficient fast displacement hull developed by Van Oossanen and previously adopted on four Heesen craft, had been coupled with a hybrid propulsion system and a cutting-edge design to produce a modern, sustainable and incredibly silent yacht. 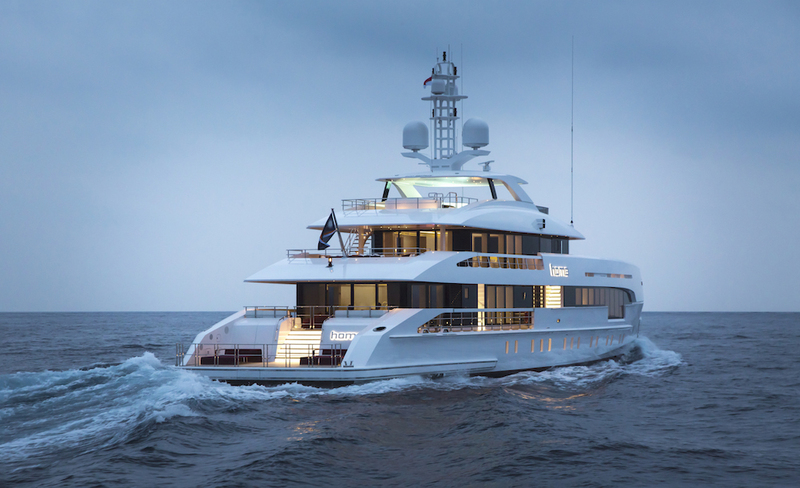 Home officially splashed in April 2017 but later returned to the yard for some fine-tuning before making her society debut at last September’s Monaco Yacht Show. Her exterior lines are by Frank Laupman of Omega Architects and although her interiors were originally entrusted to Sinot, Home’s owner really wanted Cristiano Gatto for the job. An imposing straight stem, generous swathes of glazing and an aft beach area integrated into her hull are her most eye-catching signatures. 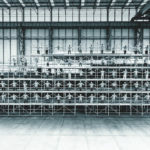 Interior-wise, Cristiano Gatto eventually replaced Sinot but by that stage the layout had already been designed and implemented and so couldn’t be changed. Gatto himself, however, created a yacht with a warm, welcoming, cosy atmosphere that ensures she effortlessly lives up to her name. 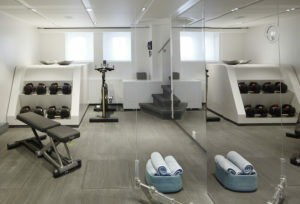 “My studio was suggested to the owner by Tom Conboy, his broker. We met one Sunday, chatted for a while and within six hours, we had revised everything. There was incredibly empathy between us,” says Gatto. 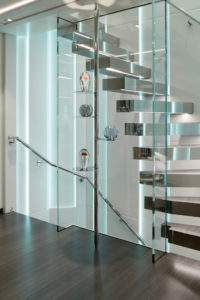 Two days later, the designer presented the owner with his sketches and within seven weeks, the design deal was sealed. 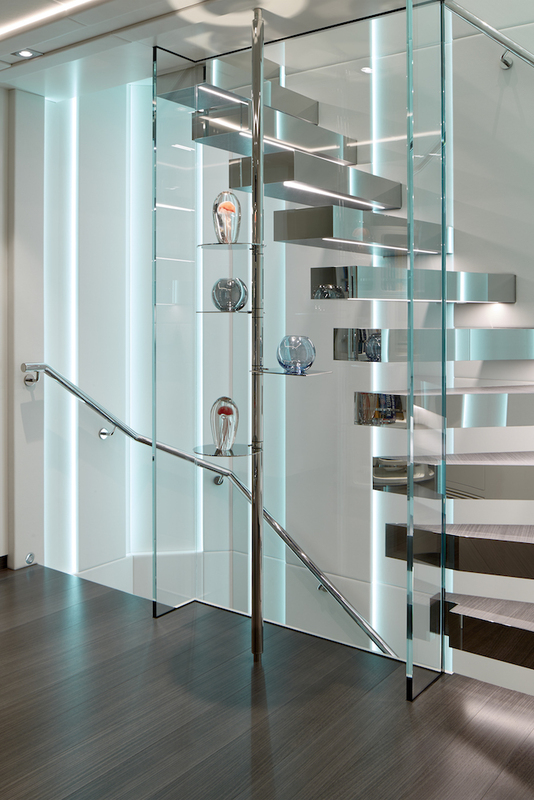 “One of the most fortunate things about this project was Heesen’s timetable which is exceptionally strict and does not permit any modifications after presentation without incurring high costs,” explains the Treviso pen. “The philosophy we adopted with Home involved simplifying the interiors to the max so that the boat would act as a kind of frame for wonders of the outside world that can be seen through the full-height windows. By which I mean the sea and nature, of course. So we decided to leave as much empty space as possible and simultaneously create a warm, welcoming atmosphere that would feel home-y and offset the white that dominates throughout,” explains Gatto. Ral 9010, more elegantly known as Polar White, creates different effects depending on the surface it is applied to. 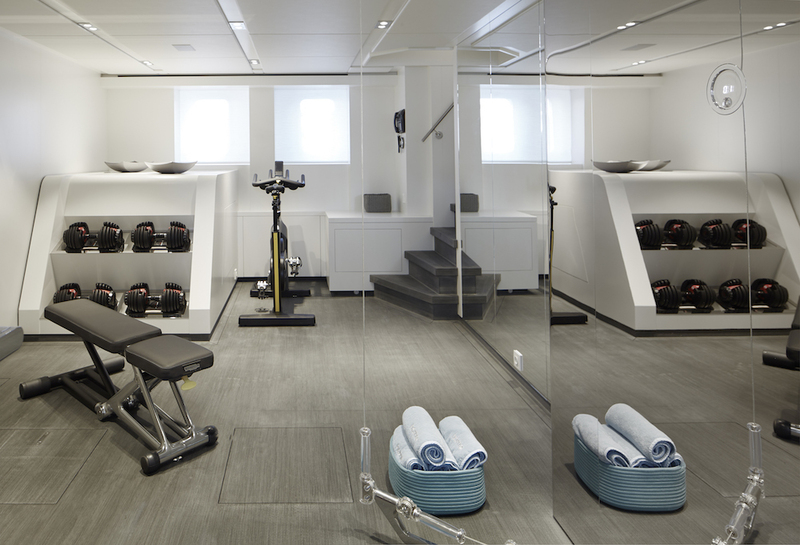 The results are textural interiors that really do create a genuine tactile experience. Dark grey upholstery and touches of a wine colour known as Amarone, after one of the owner’s favourite wines, also appear throughout the interiors from the main saloon to the sky lounge. Home accommodates up to 12 guests on her three decks. Ten of those reside on the lower deck in two double staterooms, one VIP and two twins. 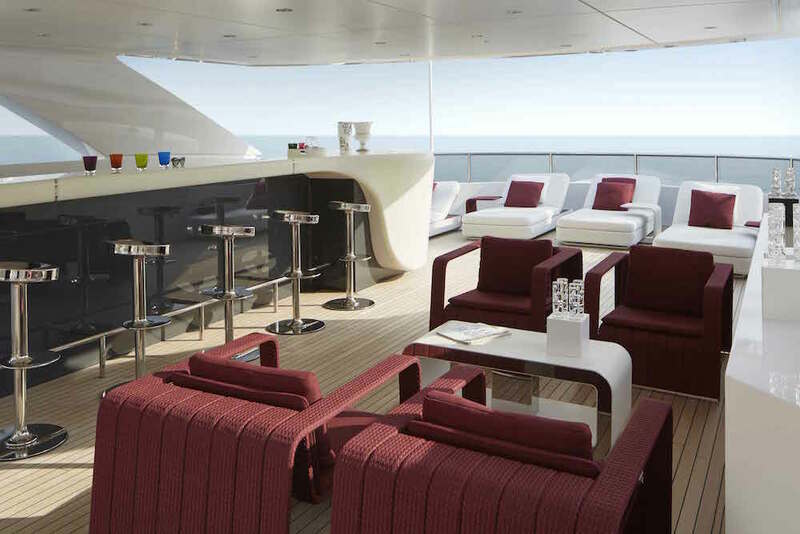 The main deck is home to the master suite with its floor-to-ceiling windows and private office. 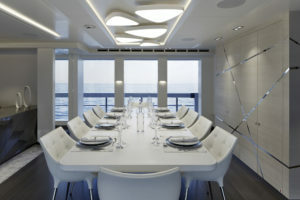 Aft, on the other hand, is a large, bright and airy conversation and dining area. This is a sleekly refined space that is also extremely comfortable. 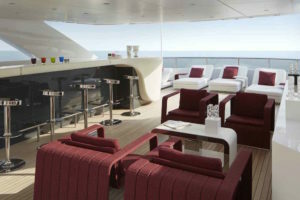 Guests also have a wellness area on the lower deck and the large beach area aft. Home is powered by two conventional MTU V12 600 and two 127 kW electric motors which mean she can make up to nine knots in absolute silence. 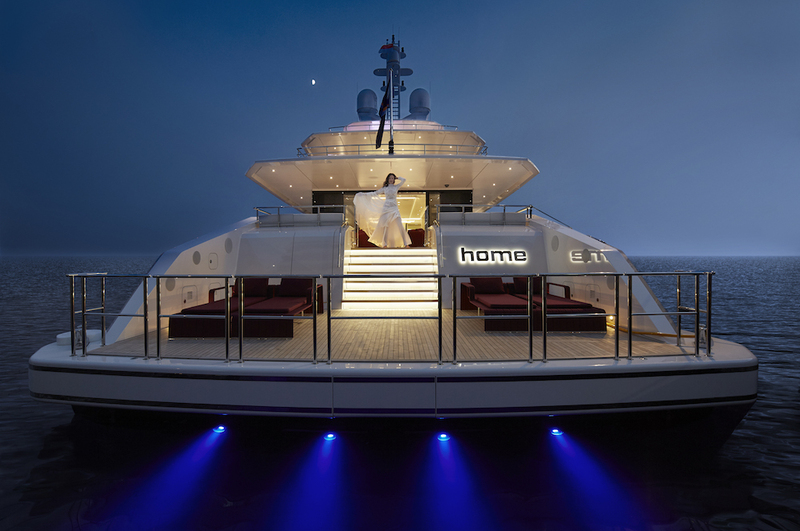 With that set-up, Home has a 3,750 nm range at her cruising speed of 11 knots while the red-line speed of the twin MTU V12 2000 M61s is 16.3 knots which, given their compact size compared to yacht’s overall dimensions, is a near-record achievement. 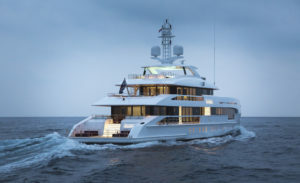 Another string to Heesen Yachts’ bow.